The place in the Financial District where the twin towers of the World Trade Center once stood, now houses the 9/11 Memorial. 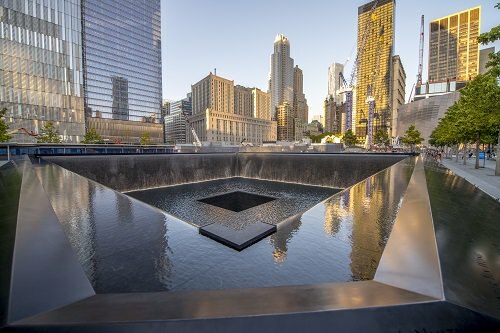 The memorial consists of a pair of deep, reflecting pools with water cascading down the sides, and the names of those who died that day etched in the stone. The museum on the site records the history of the happenings of that day.